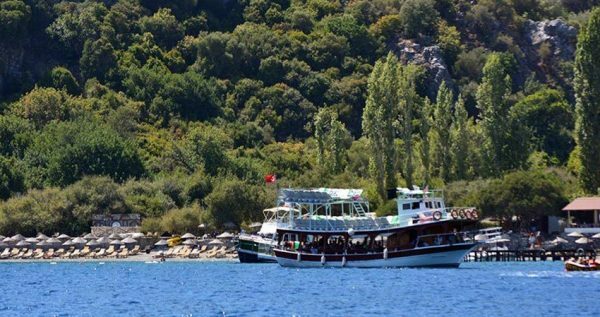 Marmaris Boat Trip is exactly the offer for you if you are looking for a lazy day out Enjoy a wonderful serene cruise through the emerald waters of the Mediterranean, and feast your eyes on the captivating, calming scenery all around you. 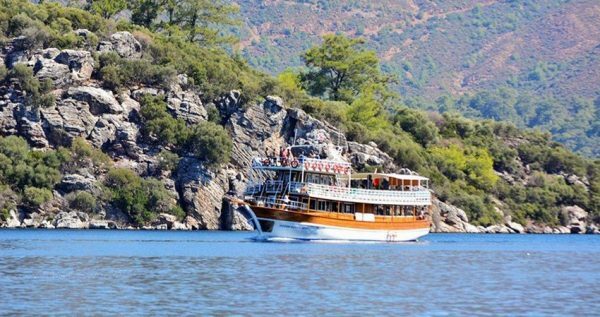 Marmaris All-Inclusive boat trip starts with a free pick-up from your hotel, followed by a short and comfortable drive to the port. Once you arrive, you will board our double decked boat and set sail into the terrific day ahead. 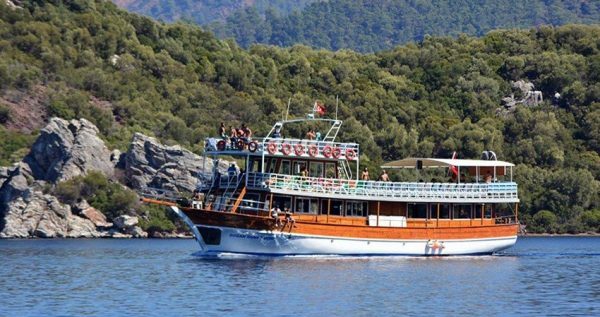 During our Marmaris Boat Trip, you will get to swim, snorkel and sunbath in some beautiful, secluded bays. 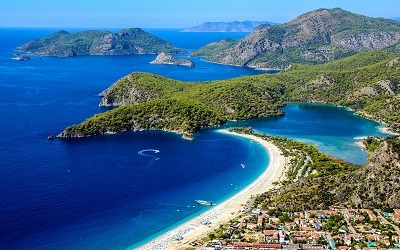 We will be taking some awesome breaks to explore the beautiful islands and bays around Marmaris. 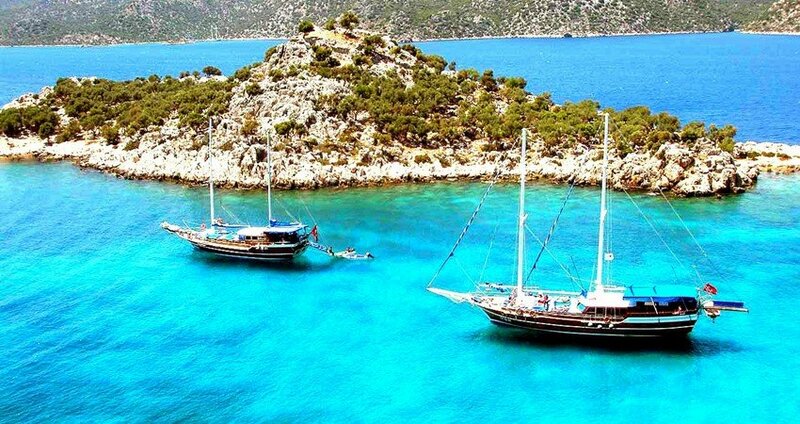 Our first break is taken at the Aquarium bay where you will get to take a dip in its heavenly blue waters. This stop is followed by a break at the Fish Farm, where you see fish flying to catch pieces of bread thrown by our guests. 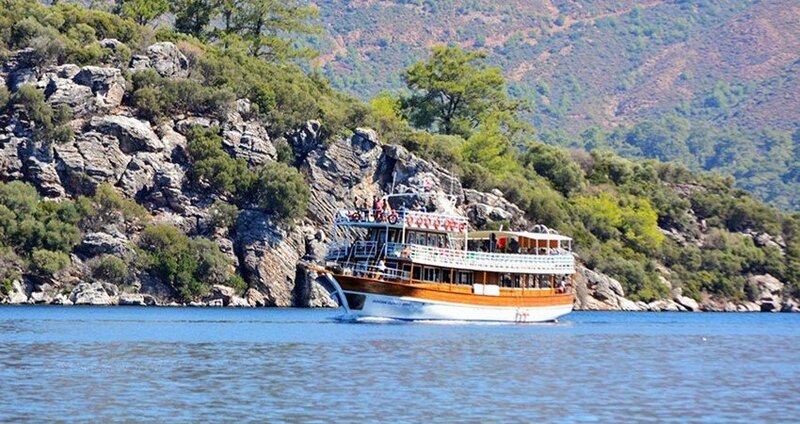 Next stop will be Amos & Kumlubuk, these are most popular bays around Marmaris by the Turkish people. 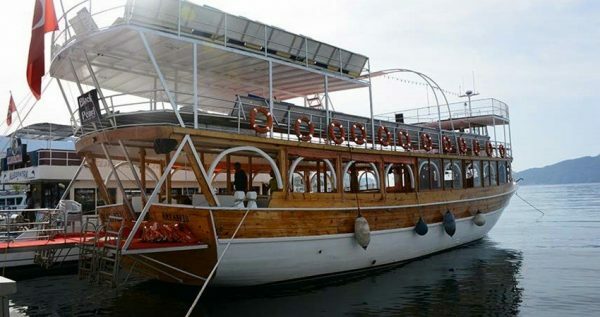 We will also take a break to enjoy a delicious BBQ lunch on our beautiful boat. Lunch menu includes a fresh salad, grilled chicken and rice or pasta. 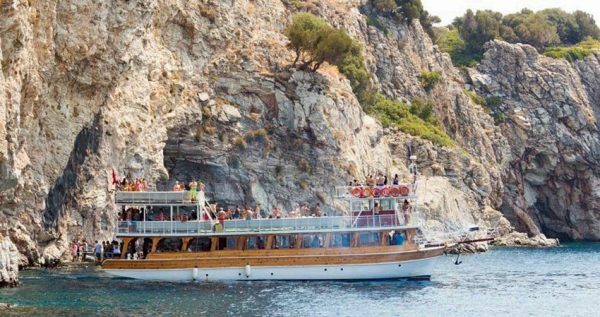 Our boat is equipped with a well–stocked bar, with all local drinks and beverages you can handle without any extra costs, as well as a wide variety of snacks. 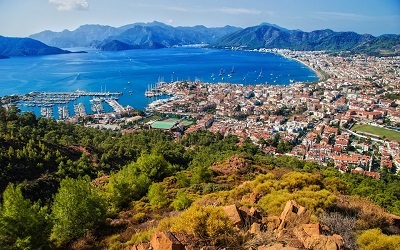 Turunc, another small holiday resort near Marmaris will be next stop where you will have 1 hours free time. 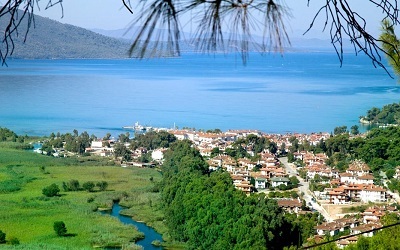 You can either enjoy your swim on the beach or take a little walk and explore this beautiful Turkish town. 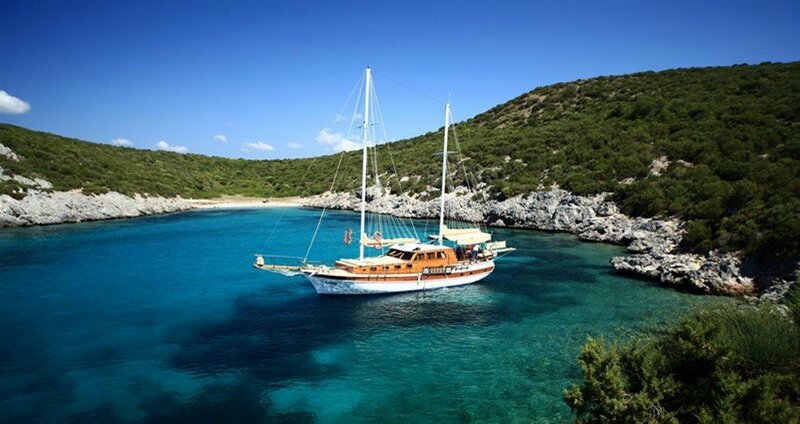 Our last stop on the way back will be Green Sea, we will stop here for another 30 minutes swim break. After this lavish boat trip ends, and we reach the port, our licensed driver will be there to pick you up and take you back to your hotel in Marmaris. Book Marmaris Boat Trip now and give yourself a gift of royal relaxation and pampering. Please note that we have two different packages for this excursion. 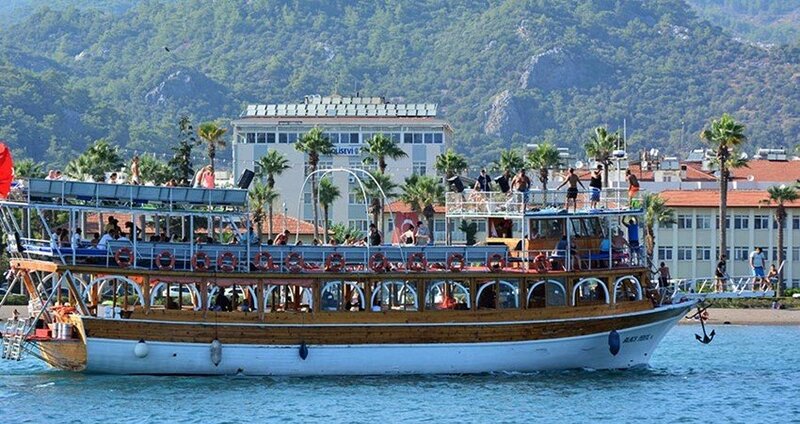 Guests will be assigned to the "All Inclusive" or "With Meal" boat. If you don't want to be seperated please book same package with your company. If you like boat trips Aegean Island Boat Trip will be interesting for you. 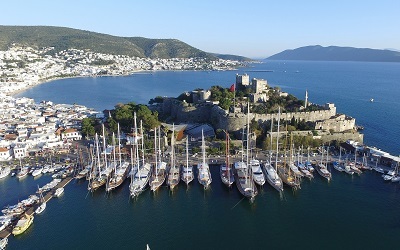 Marmaris Boat Trip starts with a free pick-up from your hotel, followed by a cozy drive to the harbor. 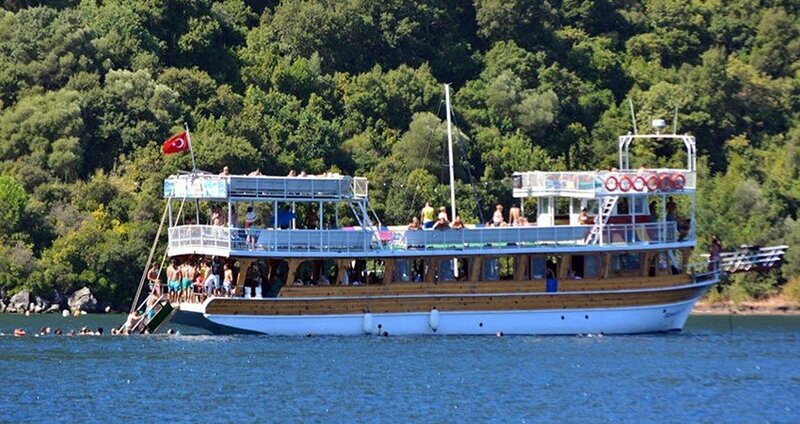 We will set sail at around 10:00. 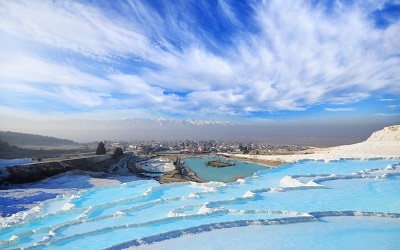 Our first brief pause will be at the charming Heaven Island. This island is popular because of its fish farm. You will get to the chance feed some exotic species of fishes and take some great camera shots as well. Afterwards, we will take a 30-minute swim break at the captivating Aquarium Bay, famous for its transparent blue waters and golden beaches. You will be able to take a swim, snorkel, or just relax and frolic on the beach. 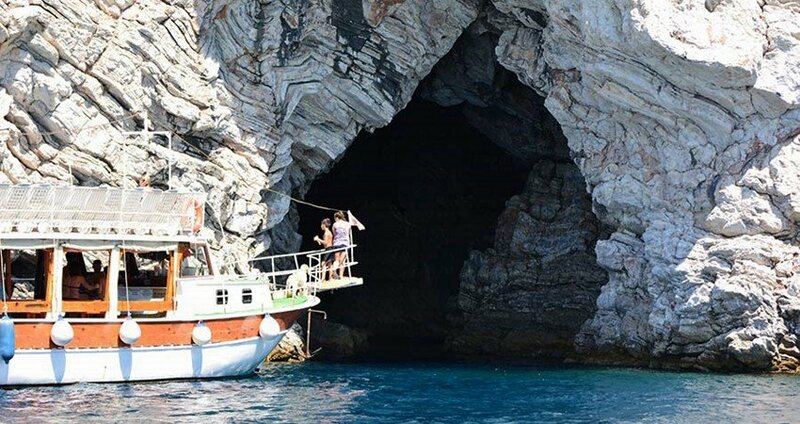 Phosphorous Cave, also known as the Wishing Cave, is also a very popular destination among tourists. In this beautiful cave water changes color, and the stories say that if you throw a coin in it and make a wish, your wish will come true. 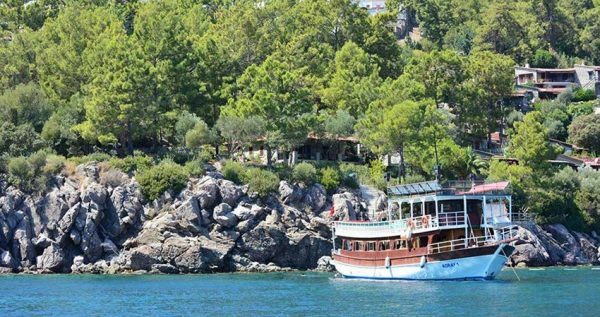 We will spend one hour enjoying the beauties of Kumbuluk & Amos. 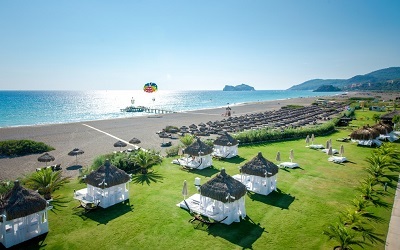 This beach is a prestigious ‘Blue Flag’ holder, which is an honor given for the cleanest beaches and waters. We will use this one-hour break to have a delicious lunch as well. Next stop is the gorgeous Turunc Village, where we will spend 1,5 hours, so you will get plenty of time to explore its rural parts, as well as its beaches. 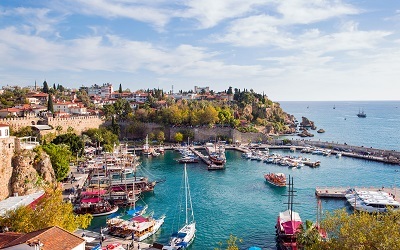 Turunc’s seafront is fringed with cafeterias so you can choose to just sit there and enjoy the view, or have an adventure exploring the lovely village. Turunc is also a ‘Blue Flag’ holder. We will take our last break at the Green Sea, famous for its calm emerald waters and serene surroundings. We expect to be back in the marina at 4am. 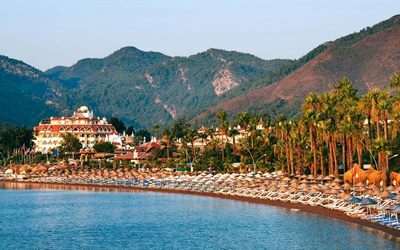 Our driver will pick you up and take you back to your hotel in Marmaris.